Here we go again. 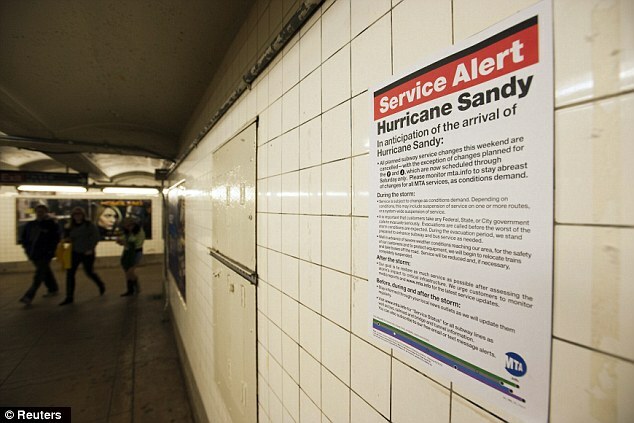 A little over a year after the frenzied buildup to the somewhat overblown threat of Hurricane Irene, New York is now under siege by Sandy, the latest in strange weather-related phenomena striking the city with alarming regularity that I’ve never seen before. Hurricanes? Tornadoes? That crazy earthquake last year? I’m not a paranoid person, but December 2012 is around the corner…. 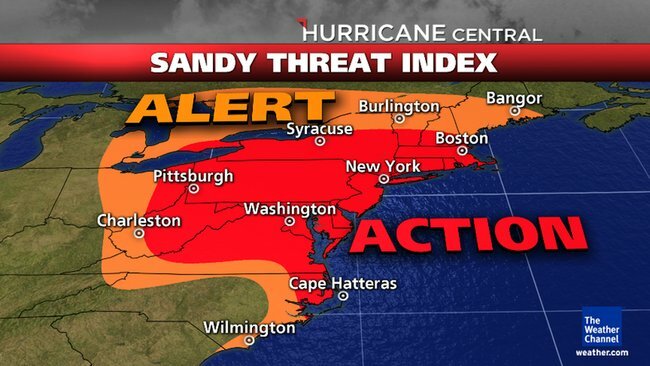 Crazy conspiracies aside, I do acknowledge that precautions are necessary and I should be taking this storm seriously. Note that I said should. Luckily I live in Zone C which on the crazily colored evacuation map drawn up by our local government means that I’m not in danger of flooding. I do live about 2 blocks away from Zone A which is in the most danger for storm surges, so I’m relying on our leaders who’ve decided that the 2 block distance will protect me from the worst of the storm. That and the fact that I live on the 19th floor in a high-rise building made of brick, steel, and cement. Since I’m not in immediate risk of being thrown out of my apartment by the powers that be for a mandatory evacuation, I decided to do the next best thing. Check my flashlights and batteries? No. Run to the supermarket and pick up almond milk and eggs after standing in line for over an hour to pay for my purchases? Heck no. I’m baking, obviously. Without further ado, I present to you this hastily thrown together mish mash of what’s in my pantry, otherwise known as the MOST AWESOME flourless brownies of all time! And they’re paleo and gluten free! The original recipe can be found on This Primal Life which features a crazy simple 5-ingredient list, but I decided to jazz it up with some fun extras. Preheat oven to 350 degrees F. Mix all the ingredients together in a bowl. Grease an 8in x 8in metal pan with coconut oil. Pour the batter into the greased pan and place in the oven. Allow it to bake for about 25 minutes. And that’s it! Done! This looks so scrumptious! I love the maple syrup, pecans, and coconut! And I love your positive attitude! I watched the weather channel today and saw Jim Cantore in Battery Park. Battery Park is one of my favorites places. That made me really think about this storm and how eerie it is. NYC has a continuing heart and soul that will handle anything! Thank you Judy! We’ve hunkered down here with enough supplies to get through armageddon, lol. The brownies are a nice little bonus. Just wish I had some coconut ice cream to go with…. Ugh, we baked everything but dessert today : ( We are stuck indoors until at least Tuesday and our office buildings are shut.. over night me some brownies will ya? lol if I can find a mailman brave enough to make the trip, you’ve got it! I have been away from home since Friday and typing on my iPhone is a disaster so I wanted to reply when I got home. This is nuts this storm that NYC is supposed to get. I hope that you will not be affected! 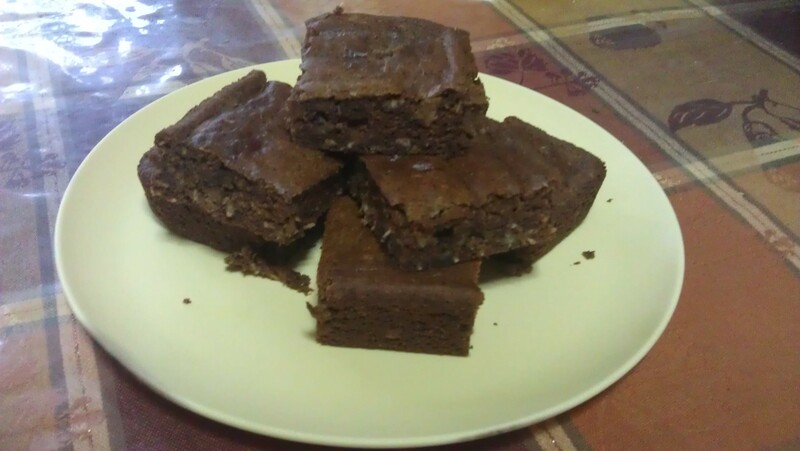 I love the way you aren’t going crazy over it though and decided to bake these yummy brownies. I have to make these for sure. I have been cutting carbs from my evening and afternoon meals (not fun) and decided to be sugar free until my b-day (good luck to me with Halloween) Anyway I hope that you are safe and so is your family! Take care Maribel! These look fantastic! I am always looking for super simple Paleo/gluten free baked goods, and it’s refreshing to read a recipe that doesn’t include four different kinds of flour, xanthan gum, and other ingredients that I’d be hard-pressed to find. I hope they make weathering the storm a little more pleasant- take care! I want to make these when my oven works again!